Hearing a noise that sounds like a gear popping out could indicate the need more lubrication or that a component is worn. It could also mean that your gears are worn or damaged, or that your chain is damaged, in a chain driven transfer case. If your gears keep popping out, it can mean that your gears are worn and can’t keep your truck in two or four wheel drive. This is usually an issue that comes on gradually but can indicate a serious problem. After time your seals can break down and start to leak. 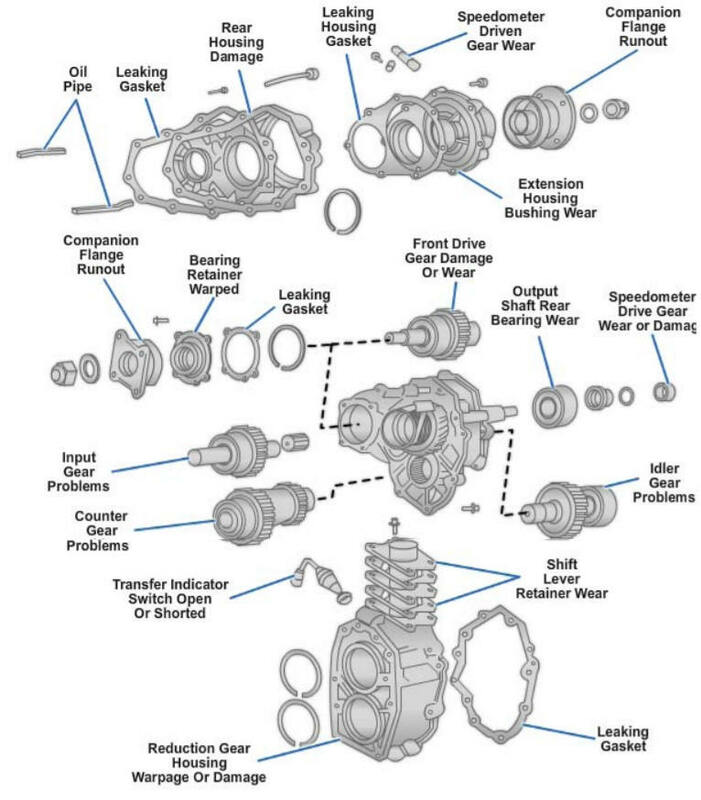 If you don’t address a leaking seal it can lead to inadequate lubrication and serious internal damage. Hard shifting may be caused by a shift linkage that is bent or worn. In some cases, the linkage simply needs lubrication. If the linkage is okay, the problem may be caused by bent or damaged shift forks inside the transfer case. 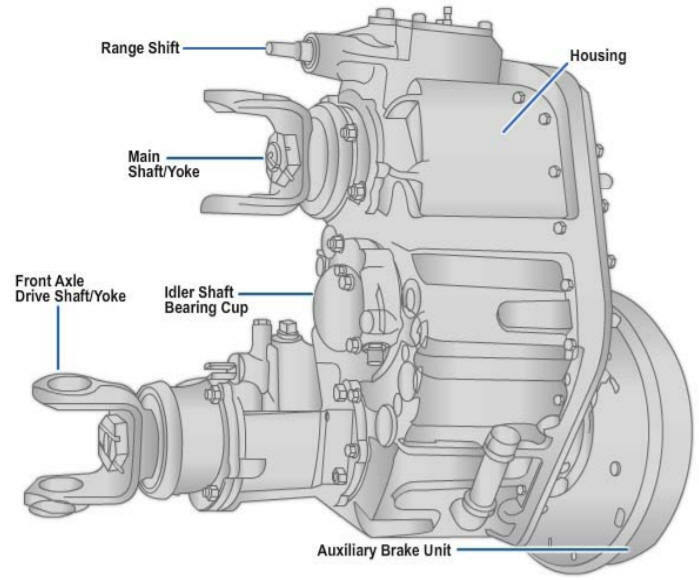 A hard jerking motion that occurs while accelerating could be caused by fluid levels, loose transfer case fasteners, worn gears or bearings, or defective internal clutches. A shudder may also occur at low speeds on vehicles with a defective viscous coupling or clutch pack. All models in stock ready to ship worldwide today. One call to us and we can provide international shipping and same day service. 2. Operating in “lockout” on hard dry surface roads. 4. Tighten or replace mounts.